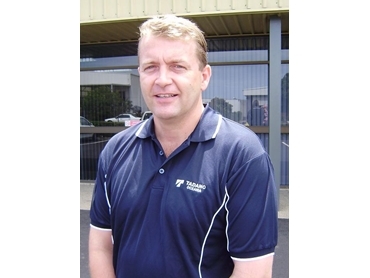 Tadano Oceania Pty Ltd has appointed Peter Lawgall to the position of WA Sales Manager. While being based in the Perth office, Peter will provide direct and timely Tadano factory support for the entire WA market. The appointment is part of Tadano Oceania’s dedicated focus on the Australian market. Peter Shelton, Operations Manager for Tadano Oceania says that the company is committed to supporting their customer base with sales and technical support in the key markets. He adds that Tadano Oceania already has excellent technical and parts representation in Perth with CTE as their authorised agents. The customer support will be further enhanced with Peter Lawgall permanently based in Perth. Peter Lawgall has a broad background in the industry with experience in materials handling, access equipment and forklifts. He is also a qualified fitter. Peter has previously worked in Perth, Melbourne, Sydney and Brisbane. Speaking on his appointment as the new WA Sales Manager of Tadano, he says that he has always held the Tadano brand in the highest regard and representing the brand feels good. According to Peter, Tadano has a deserved reputation for quality, and the mix of Japanese reliability with German technology is about as good as it gets. He is now looking forward to assisting customers in WA with their lifting needs. Tadano is a world leader in the crane industry and their range includes all terrain cranes, truck cranes, rough terrain cranes and Tadano mantis telescopic boom hydraulic crawler cranes.